The time has come and we have outgrown our little office in Longs. We are in the process of re-locating to Ocean Isle Beach. Not to worry we will still be servicing the same areas as before but this new space will allow us serve you better. We are in the process of completing a total renovation of the front office & showroom. We are also in the process of adding millwork equipment and our sister company Carolinas Coastal Millwork Group. We look forward to serving our continuing customers and new customers as well..
Stay tuned for pictures and updates about the renovation. 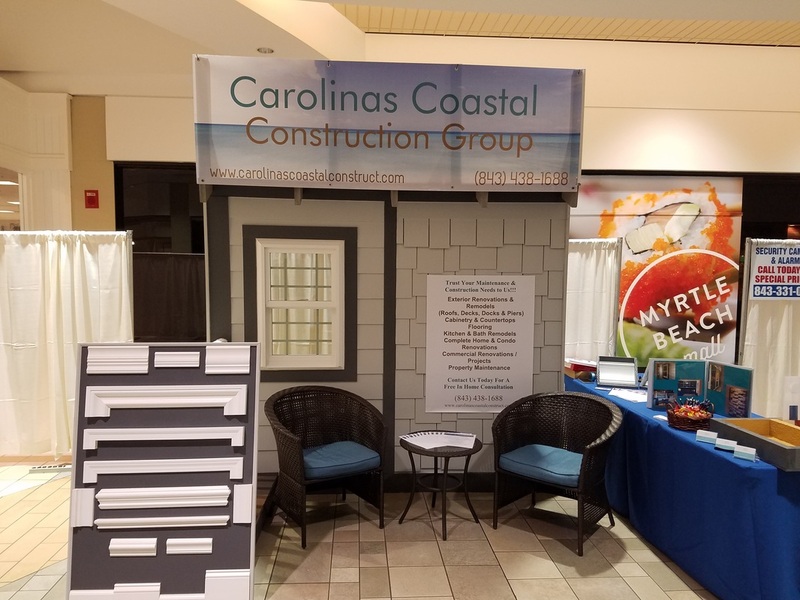 It is hard to believe that Carolinas Coastal Construction Group has celebrated their one year anniversary. Time sure has flown by. We have had to opportunity to meet and work with many people and have loved every second of it. Recently we finished our second big interior renovation. This was a home that was flooded in Hurricane Matthew. They had roughly 3 feet of water throughout the home and our team worked with the homeowner’s long distance and get the home back up and running this past week. It was an absolute pleasure working with these clients. 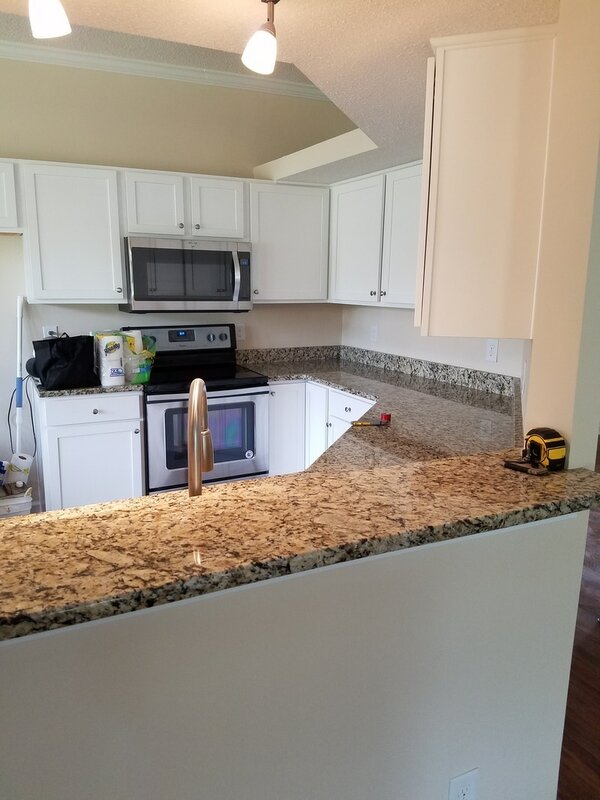 The kitchen is my absolute favorite part to the new white cabinetry and granite counter tops. We hope that our clients are settled and enjoying their new home. We will also have availability to schedule consultations to view and provide proposals for your upcoming projects. For everyone who schedules a consultation with us they will be entered to win a Visa Gift Card. We have several other goodies as well that will be available to those who visit our booth. Better late than never. CCCG had a great time a the Fall Home Expo show. We were able to meet several vendors in the area and well as introduce ourselves to the our Myrtle Beach Community. Here is a picture of the booth. Our winner of the gift card was contacted and is receiving this today. We look forward to working with them on their upcoming project. Pictures will be sure to follow. Just as many in Myrtle Beach are Carolinas Coastal Construction Group has had a busy week helping many clients recover from the storm. Our office is completely back up and running and we look forward to helping our current clients and new clients complete their recovery as well. Please feel free to visit our new Angies List Page. We are now up and running and would love to see your reviews from your project. We look forward to meeting everyone and discussing your upcoming projects!! customer service, from start to finish.